A new diagnostic test may be around the corner thanks to the discovery of two gene mutations that mark the progression from a harmless oesophageal condition to cancer, according to research published in Nature Genetics. Scientists, including those from the University of Southampton and funded by Cancer Research UK’s Catalyst Club**, are working as part of the International Cancer Genome Consortium (ICGC)*** and have identified two faults that signal the early onset of oesophageal cancer. Over time, acid reflux – often called heartburn – damages the cells in the oesophagus. If left untreated, this can lead to a condition called Barrett’s oesophagus, which in turn can be a precursor of oesophageal cancer. By sequencing DNA in patients with Barrett’s oesophagus and those with oesophageal cancer, the researchers have been able to map out the genetic similarities and differences between the two. They found mutations in the genes TP53 and SMAD4 within oesophageal tumours, offering a way of identifying those patients in which Barrett’s oesophagus is progressing into cancer. The University of Southampton, in collaboration with University Hospital Southampton NHS Foundation Trust, provided the second largest amount of samples to the study. Barrett’s oesophagus often goes undiagnosed, making it difficult to identify those people who are at higher risk of going on to develop oesophageal cancer. 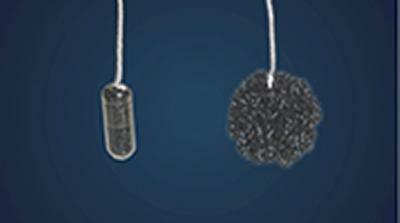 The cytosponge, or ‘sponge-on-a-string’ test, involves swallowing a capsule attached to a piece of thread. Inside the capsule is a sponge and, when the capsule reaches the stomach, the outer covering of the capsule dissolves. A nurse then pulls the sponge out, which collects cells for testing as it passes up the oesophagus. The Cytosponge test, which is still under development, could be used to look for mutations in TP53 and SMAD4 as a way of identifying patients with early stage oesophageal cancer. Study co-author Tim Underwood, MRC Clinician Scientist at the University of Southampton and Oesophageal Surgeon at University Hospital Southampton, lead the Southampton team. He comments: “This is a landmark study into the genetic basis of why and how some people with Barrett’s oesophagus get oesophageal cancer and others do not. It is still early, but we very much hope that this information will lead to a game-changer for a cancer with one of the worst outcomes. Study author Professor Rebecca Fitzgerald, based at the MRC Cancer Unit at the University of Cambridge, says: “There’s been a lot of research into the molecular changes responsible for cancer, but the actual timing of these faults and the series of events that lead to the disease is much less understood. We’ve revealed how the genetic landscape changes as patients progress from Barrett’s oesophagus to oesophageal cancer. “We developed the sponge-on-a-string test as an easy way of getting a sample of the cells that line the oesophagus. When combined with powerful gene sequencing technology, this will help us to quickly identify which patients have Barrett’s and which have started to develop oesophageal cancer, and we hope the test will soon be routinely available in hospitals. Oesophageal cancer is the thirteenth most common cancer in the UK. Around 5,600 men in the UK develop oesophageal cancer every year compared with 2,750 women. Nell Barrie, head of science information at Cancer Research UK, said: “As we learn more about the development of oesophageal cancer we can engineer better ways to detect and treat the disease. The Cytosponge test could be a simple and cheap way to help diagnose the disease earlier, when there’s a greater chance treatment will be effective. ** This research was funded by The Catalyst Club, a pioneering venture that's raising £10 million towards personalised cancer treatment. The club is made up of philanthropists who have invested in a range of projects that will help to bring forward the day when all cancers are cured. ***The International Cancer Genome Consortium is an international endeavour to sequence thousands of genomes from 50 types of cancer. Cancer Research UK is funding two projects as part of the ICGC that will look for, and identify, all the genetic faults in tumour samples from 500 oesophageal and 500 prostate cancer patients. By identifying the mutations that are causing the disease it could lead to new tests and targeted treatments that match a patient’s particular form of cancer.